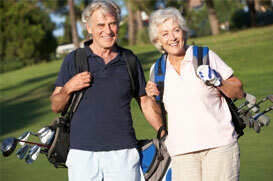 St. George real estate offers retirees numerous communities catering to retired individuals. Our award winning SunRiver is ranked among the top 20 retirement communities nation wide. Southern Utah weather combined with biking, hiking, fishing, pickle ball, tennis, golf, swimming, fitness and 50+ community clubs offers days full of friendly activities and days of leisure. Retirees target St. George due to our world-class health services at IHC Dixie Regional Medical Center. We are approximately two hours to Las Vegas for gambling, shopping, Broadway shows / musicals, and an international airport.